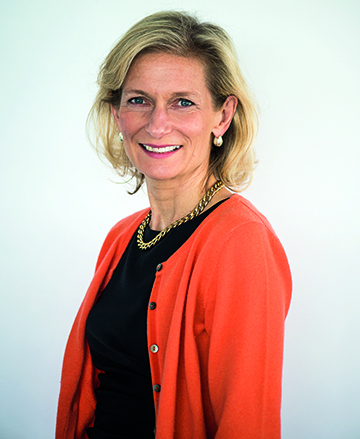 Zanny Minton Beddoes, editor-in-chief of The Economist, will deliver the 2018 Edward Shapiro Distinguished Lecture Wednesday, Oct. 3, at 7 p.m. in Doermann Theatre. Named one of the “most powerful women in the world” by Forbes, Beddoes is a renowned global economics expert, sought-after for her authoritative perspectives on the world economy — past, present and future. • How is Europe displaying attributes typical of Japan, where economies are no longer shrinking, but stagnant? • Emerging market economies are being tested — a candid look at which have promise and those that could collapse under the pressure. As the first female editor in The Economist’s more than 170-year history, Beddoes enlightens audiences on financial and economic trends with prescient analysis that is detailed yet comprehensive in scope. Tickets for the free, public Edward Shapiro Distinguished Lecture are available at utoledo.edu/al/shapiro-lecture. The annual lecture is made possible by an endowment left by Dr. Edward Shapiro, professor emeritus of economics, who retired in 1989 and wanted to provide opportunities for the University to bring world-renowned speakers to Toledo. Past Shapiro Distinguished Lecture speakers include Elie Wiesel, Oliver Sacks, Robert F. Kennedy Jr., Toni Morrison, Wynton Marsalis, E.J. Dionne Jr. and Audra McDonald. This entry was posted on Wednesday, September 26th, 2018 at 3:53 am and is filed under Alumni, Arts and Letters, Events, News, UToday .